Brooking is a tucked away place. A scarce five miles or so straight east of my farm, it is in between the Gap and the R.M. of Laurier, though technically it belongs in the latter. 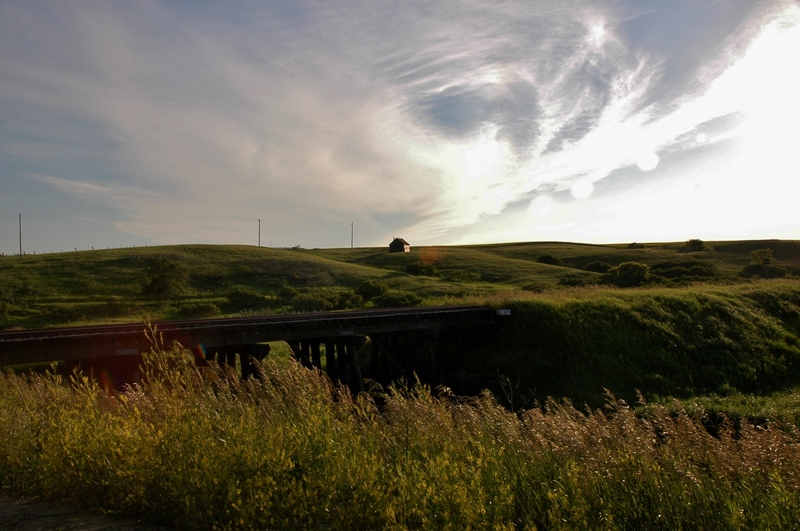 The region is a picturesque vale, named Buffalo Valley by the homesteaders, apparently because bison once roamed the area in huge numbers. Brooking, originally called Stowe, was supposed to be a big town. But when the CNR changed its plans, Brooking went bust just as fast as it had boomed. And boom it did. 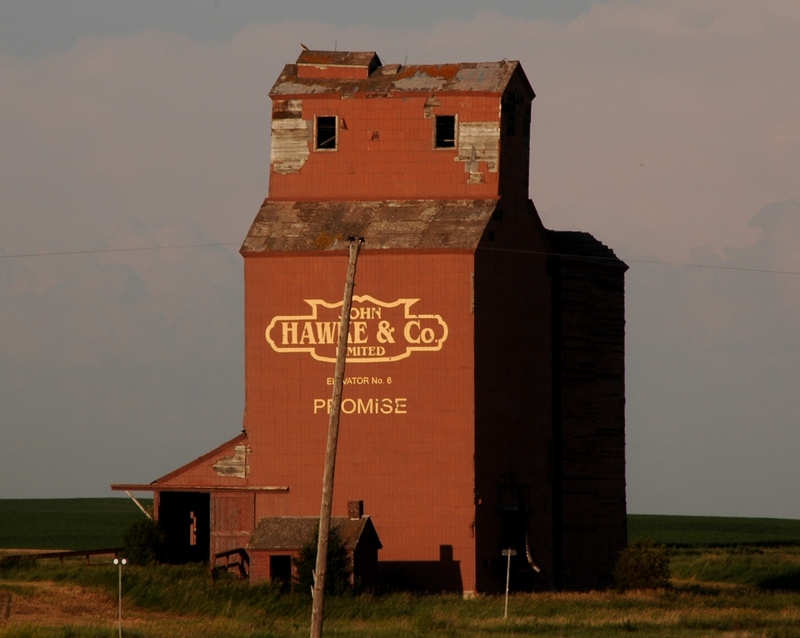 Lumber yards, a hotel, general store, dwelling places – Brooking had all the makings of a proper prairie town. But without the roundhouse, its originally hoped for raison d’être, Brooking petered out. Sometimes I imagine what would have happened if Brooking had become the big town in the region instead of Radville, how it would have changed the landscape. There would have been a highway built to it. Its growth would have encroached upon the hills of the gentle valley. It would have made noise and bustle. It would have disturbed the peace of the gentle, secluded place. Perhaps it was for the best that a town never really got going there. And yet, much evidence still abounds which reveals the hopes of its settlers a century ago. A couple of houses remain. Buffalo Valley School, originally a mile or so north of the village, was moved there in the ‘60s to serve as a community centre. On low ground, down by the creek, stands a forlorn but proud elevator. On the north side, the faded Wheat Pool insignia. On the west side, a splashy paint job from 15 years ago when a movie crew rolled in. 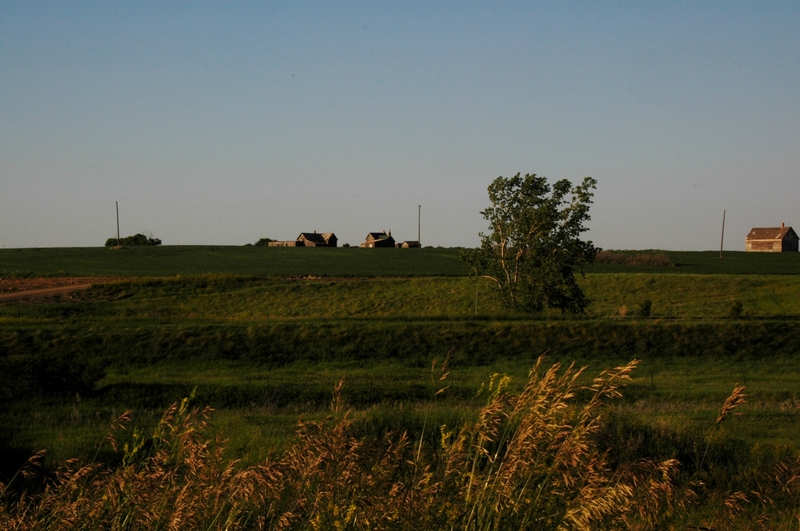 But much of what was Brooking is now a field, the few scattered buildings a symbol of nostalgia on the part of landowners. They could tear them down, if they wanted to. The irony of “Promise” is not lost on me. Kristin Catherwood. July 10, 2014. Brooking today. Kristin Catherwood. July 10, 2014. Brooking from the west. Kristin Catherwood. July 10, 2014. Perhaps most famous was the Brooking bridge. It was a cement bridge, a modest yet impressive feat of engineering built to span the creek (is it the Long Creek or the Gibson Creek? I’ve never really been sure, but have heard that the two meet at Brooking) in the winter of 1905-1906. 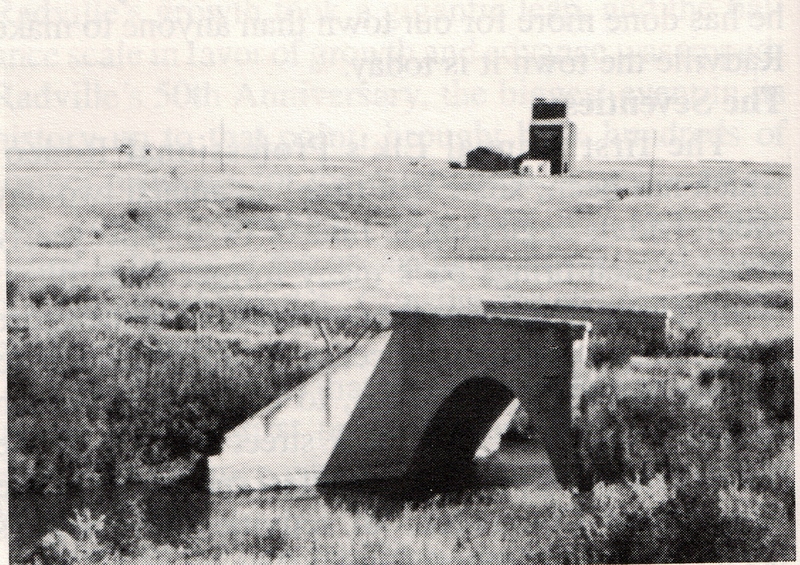 It claimed the distinction of being the first cement bridge built in the province of Saskatchewan. Perhaps not the most thrilling “first” around, but as a youngster I was inordinately proud to live so near to such a unique landmark. It’s gone now, partially washed away in the floods of 2011. The rest was taken out and replaced by giant steel culverts, which are a dime a dozen and nothing to even remark upon, except perhaps to say that it’s a shame to see them in place of the bridge. I never got around to photographing the bridge, taking for granted its continuing existence, so this grainy black and white photo will have to suffice. I always got a bit of thrill driving over that bridge. It was the first of its kind in the province, after all. Like all ghost towns, Brooking was once a place where people lived and loved and were sick and died. 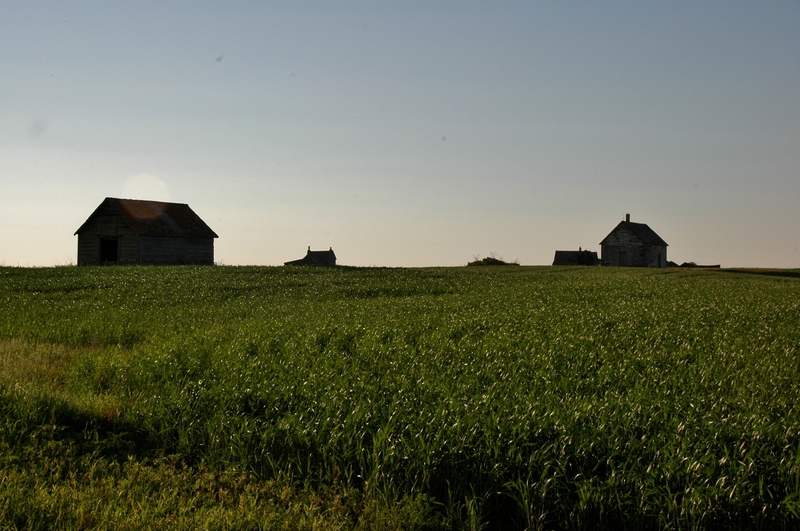 It was a place where families were raised, grain was hauled, and businesses were run. People stepped off the train onto the platform at Brooking station, and they drove down into its small valley in anticipation of a dance or a ball game or a visit with loved ones or perhaps to get a few things at the store. People picked up their mail in Brooking, dropped off their cream cans in Brooking, had the times of their lives in Brooking, perhaps fell in love in Brooking. Now, people drive through it to reminisce, or to use its lonely road as a shortcut to somewhere else, or to pass some time on a summer evening. As for ghosts in Brooking, I’ve never heard tell of any, but that’s not to say they aren’t there. Buffalo Valley. Kristin Catherwood. July 10, 2014. 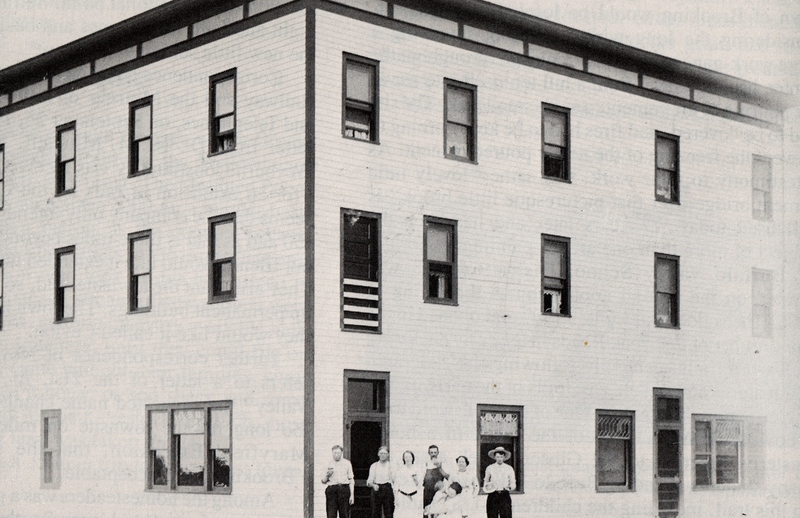 *Radville-Laurier: The Yesteryears. 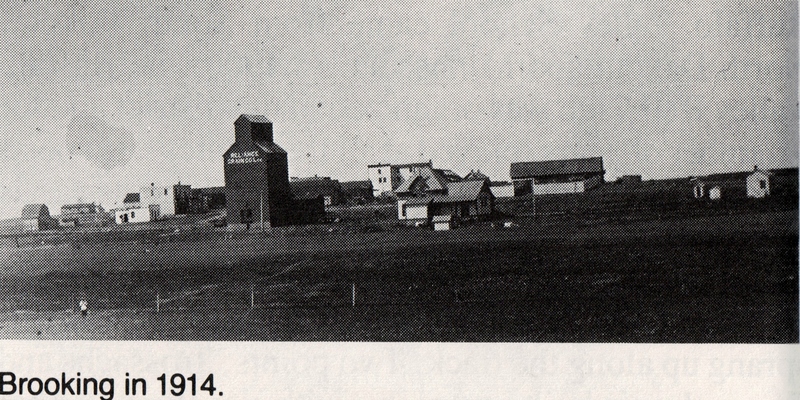 Radville, SK: Radville Laurier Historical Society. 1983, 149-150.